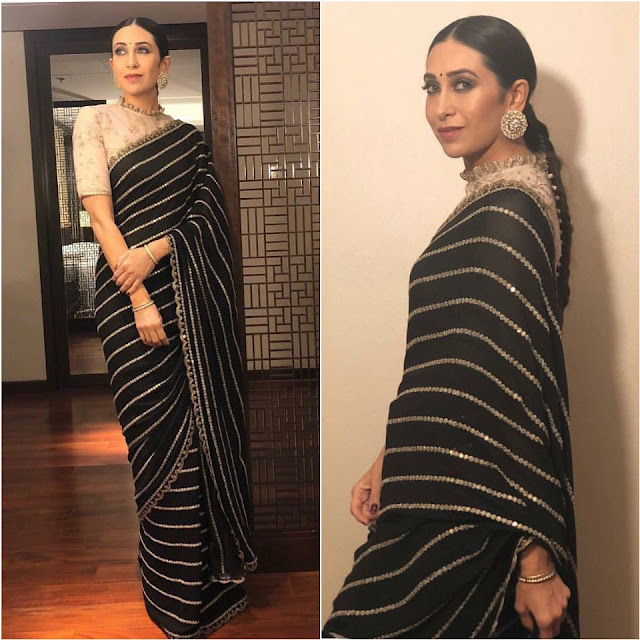 Recently, Karisma Kapoor picked up a black sari along with an off white blouse. She finished off her look with smokey eyes, heavy round earrings, a bindi and beaded hairstyle. Miss Kapoor looked stunning from head to toe.